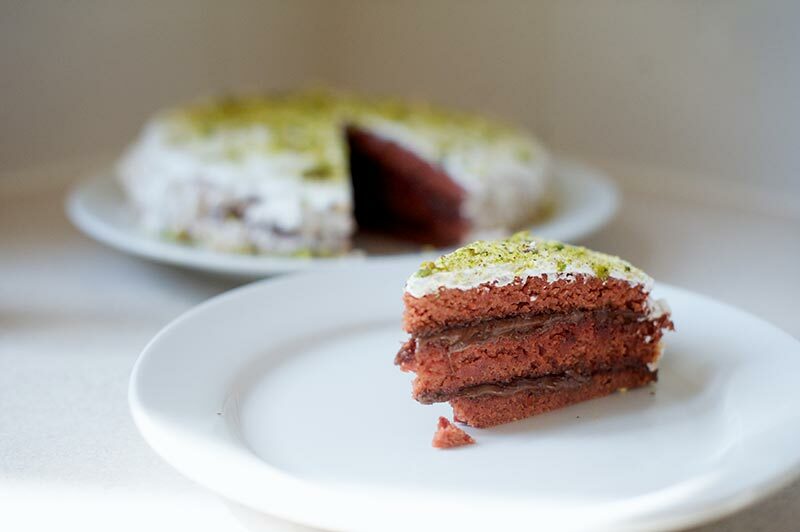 This is the first recipe from Harry Eastwood’s book Red Velvet & Chocolate Heartache. I chose this because I wanted to try a recipe that uses vegetables instead of butter, this one for example uses beetroot. It was only when I started working my way through the ingredients that I realised it was gluten-free which makes this a great recipe to impress my father-in-law-to-be who is gluten intolerant. Pre-heat the oven to 160c and grease 3 18cm loose bottomed sandwich tins. 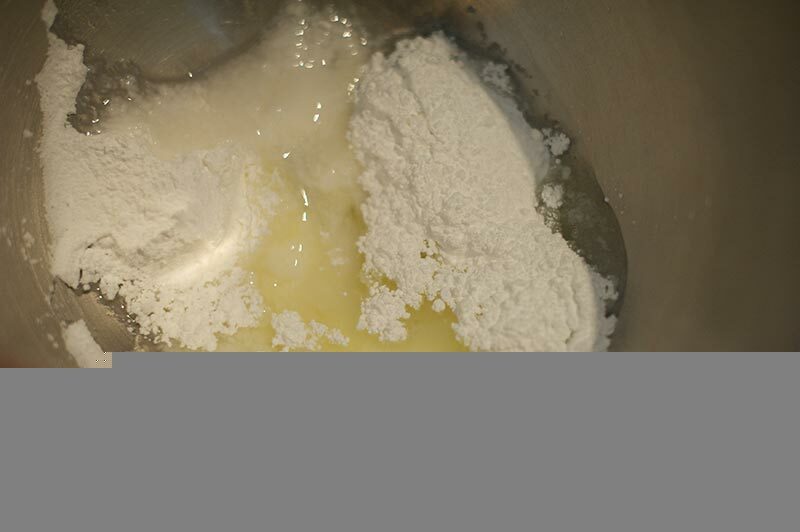 Line the bottoms with baking parchment and grease again. 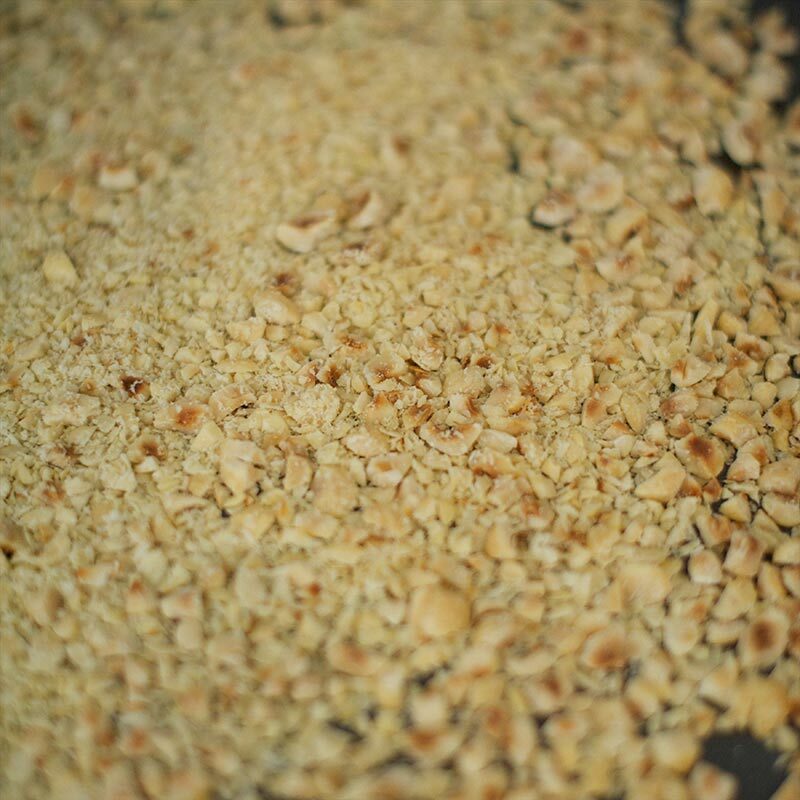 Toast the hazelnuts for 10 minutes on a baking tray. Set a timer, because you’ll probably forget they’re in there. 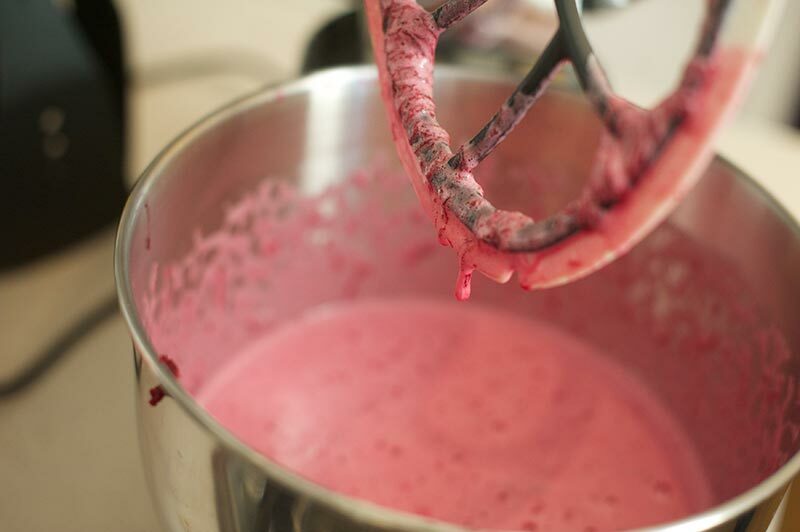 Finally add the buttermilk and red food colouring. 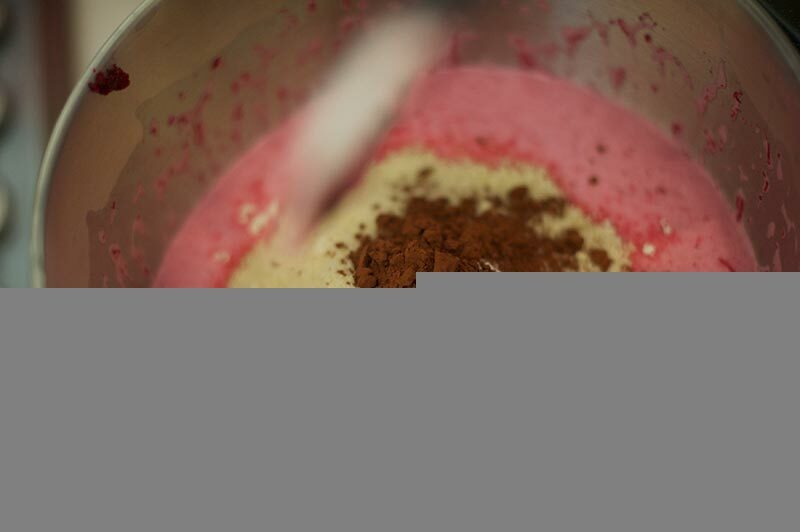 Whisk well and make sure everything is well combined. 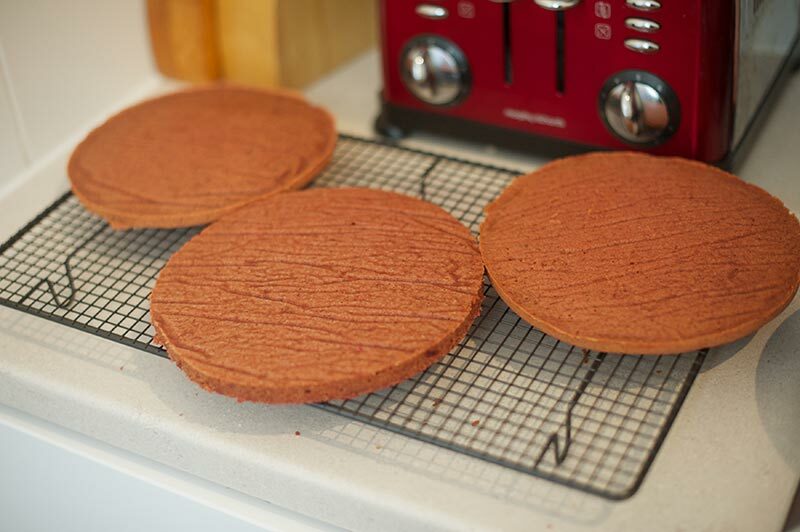 Divide the mixture ‘evenly’ between 3 cake tins and place them in the oven for 30 minutes. They probably wont all fit in the middle of the oven, so make sure you rotate their positions in the oven. stir with a clean metal spoon rubber spatula (if you are worried about scratching your bowl) for exactly 2 minutes to dissolve the sugar. 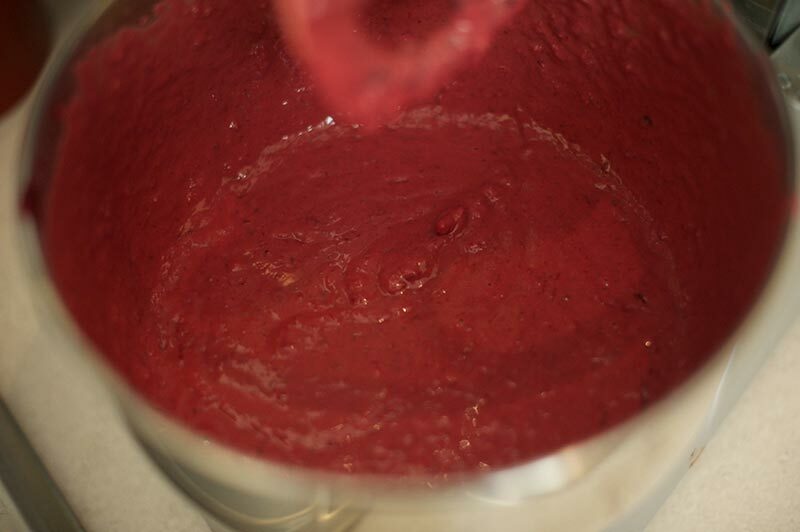 When the mixture is warm and the 2 minutes are up, remove the bowl from the heat and whisk for 9 minutes until cool. You really won’t want to do this by hand! It should be fairly rigid in stiff glossy peaks. If you beat the icing for longer, it will just get harder and harder and no-one wants to break a tooth! 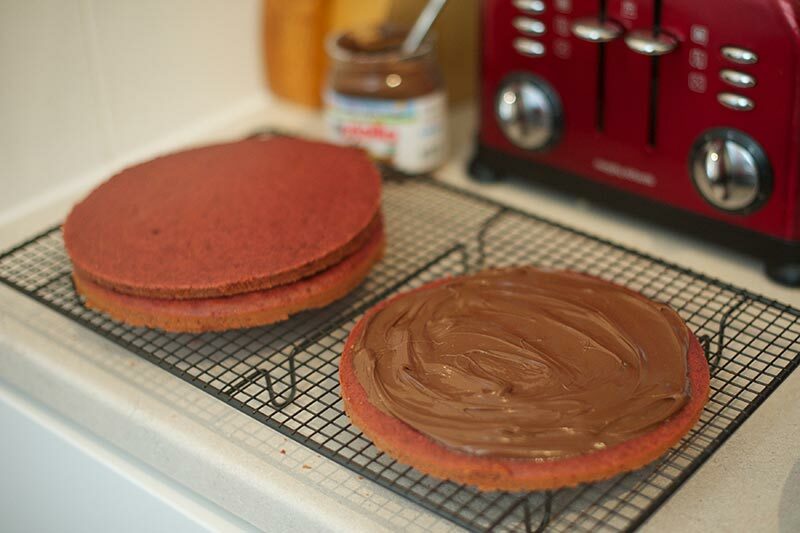 When the cakes are cold, spread 3 tbsp of Nutella between the first and second tiers. Then put another 3 tbsp between the second and third tiers. 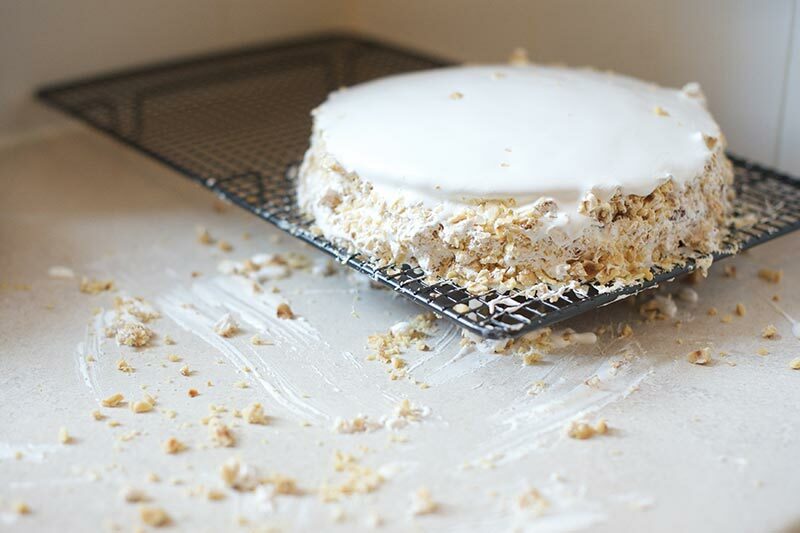 Cover the whole cake with snow meringue icing, and pat the hazelnuts onto the side of the cake. Be warned: THIS IS VERY MESSY! 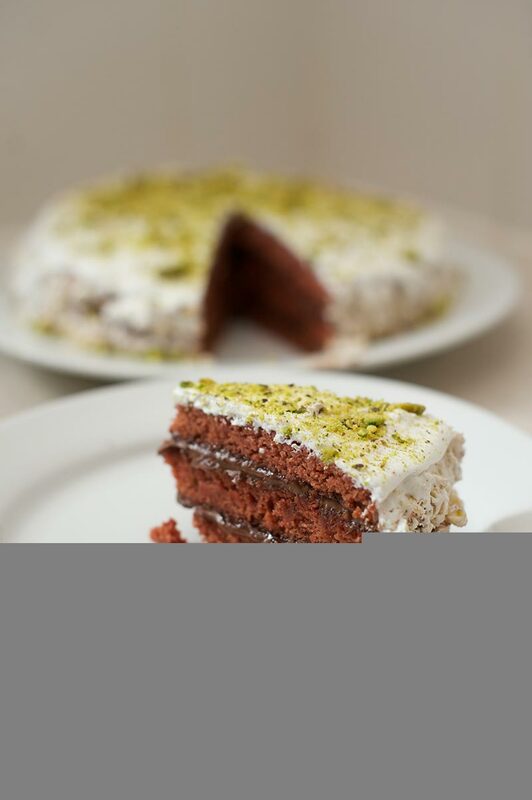 If like me, you think the top of the cake seems a bit left out, dust it with smashed up pistachios. Wait a little while for the meringue to stiffen up a bit, then cut yourself a slice! A really moist, lovely cake. 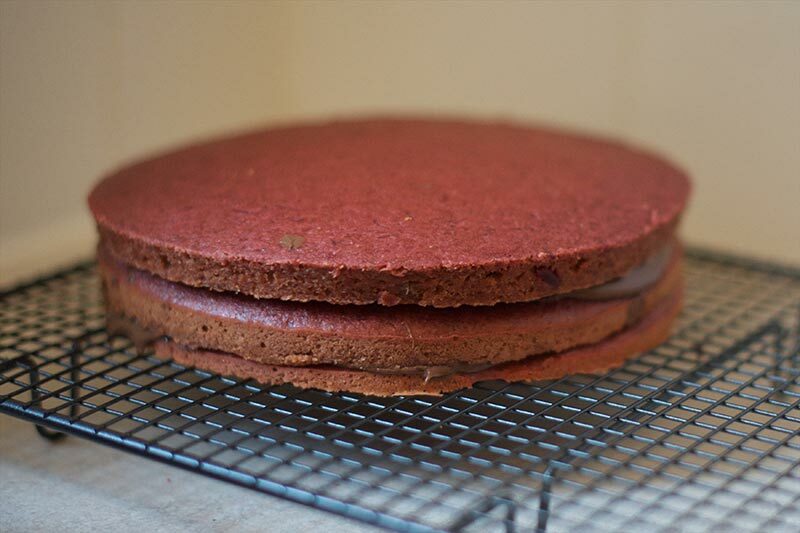 I could really use some help on the presentation front and I may have gone a bit OTT with the Nutella as that’s the main flavour you get, but I think it’s amazing for a gluten-free cake! Amazing gluten free cake? Absolutely! For someone who normally declines beetroot I couldn’t believe how tasty this cake was and to discover this was gluten-free too, well! As for himself- a big thumbs up. It took him a while to work out the ingredients but was seriously impressed. The pistacios were a stroke of genius they just set it off beautifully.